Washington: Beneath northern India’s irrigated fields of wheat, rice, and barley … beneath its densely populated cities of Jaiphur and New Delhi, the groundwater has been disappearing. Halfway around the world, hydrologists, including Matt Rodell of NASA, have been hunting for it. Where is northern India’s underground water supply going? According to Rodell and colleagues, it is being pumped and consumed by human activities — principally to irrigate cropland — faster than the aquifers can be replenished by natural processes. They based their conclusions — published in the August 20 issue of Nature — on observations from NASA’s Gravity Recovery and Climate Experiment (GRACE). “If measures are not taken to ensure sustainable groundwater usage, consequences for the 114 million residents of the region may include a collapse of agricultural output and severe shortages of potable water,” said Rodell, who is based at NASA’s Goddard Space Flight Center in Greenbelt, Md. Groundwater comes from the natural percolation of precipitation and other surface waters down through Earth’s soil and rock, accumulating in aquifers — cavities and layers of porous rock, gravel, sand, or clay. In some of these subterranean reservoirs, the water may be thousands to millions of years old; in others, water levels decline and rise again naturally each year. Groundwater levels do not respond to changes in weather as rapidly as lakes, streams, and rivers do. So when groundwater is pumped for irrigation or other uses, recharge to the original levels can take months or years. Changes in underground water masses affect gravity enough to provide a signal, such that changes in gravity can be translated into a measurement of an equivalent change in water. “Water below the surface can hide from the naked eye, but not from GRACE,” said Rodell. The twin satellites of GRACE can sense tiny changes in Earth’s gravity field and associated mass distribution, including water masses stored above or below Earth’s surface. As the satellites orbit 300 miles above Earth’s surface, their positions change — relative to each other — in response to variations in the pull of gravity. The satellites fly roughly 137 miles apart, and microwave ranging systems measure every microscopic change in the distance between the two. With previous research in the United States having proven the accuracy of GRACE in detecting groundwater, Rodell and colleagues Isabella Velicogna, of NASA’s Jet Propulsion Laboratory and the University of California-Irvine, and James Famiglietti, of UC-Irvine, were looking for a region where they could apply the new technique. The northern Indian states of Rajasthan, Punjab and Haryana have all of the ingredients for groundwater depletion: staggering population growth, rapid economic development and water-hungry farms, which account for about 95 percent of groundwater use in the region. Data provided by India’s Ministry of Water Resources suggested groundwater use was exceeding natural replenishment, but the regional rate of depletion was unknown. Rodell and colleagues had their case study. The team analyzed six years of monthly GRACE gravity data for northern India to produce a time series of water storage changes beneath the region’s land surface. They found that groundwater levels have been declining by an average of one meter every three years (one foot per year). More than 109 cubic km (26 cubic miles) of groundwater disappeared between 2002 and 2008 — double the capacity of India’s largest surface water reservoir, the Upper Wainganga, and triple that of Lake Mead, the largest man-made reservoir in the United States. The loss is particularly alarming because it occurred when there were no unusual trends in rainfall. In fact, rainfall was slightly above normal for the period. The researchers examined data and models of soil moisture, lake and reservoir storage, vegetation and glaciers in the nearby Himalayas, in order to confirm that the apparent groundwater trend was real. Nothing unusual showed up in the natural environment. The only influence they couldn’t rule out was human. Above write-up was originally published at nasa.gov. It is reproduced as above for the information of readers of the Sikh Siyasat News. P. Sainath in ‘Farmers Suicides and Way Forward’ held by Rytu Swarajya Vedhika and TV9 on 8th January, 2011 at Jubilee Hall, Hyderabad. I congratulate the center for sustainable agriculture for taking up this initiative and I expect this from an organization like CSA but not from a media house. So , I particularly thank Tv9 for taking up this initiative. This programme will be held in jublee hall for the next 3 hours . But in these 3 hours nearly 6 farmers will commit suicide in India and one among them is from Andhra Pradesh. And also in these 3 hours nearly 60-90 farmers will attempt suicide. 12-15% of them are successful. In these 3 hours nearly 250 farmers quit agriculture forever. And that is our national figure. According to 1991 and 2001 census, every day 2000 farmers are quitting agriculture. ( all these figures are from NCRBA- national crime record bureau – the figures of union home ministry) the agrarian crisis aggravated but still all the state governments are in defensive and denial modethis is the first problem. Nearly 16 state governments had written to union agriculture ministry that there are no farmer suicides in their states. But the paradox is NCRB figures are a result of data collected from their police stations only. The data is collected from the individual police stations and then send to the DCRB(district crimes record bureau) and from there to state government. Andhra Pradesh government had reported 40 -45 farmers suicides during this year .The NCRB data is available only for the past 16years that is from 1995 to 2010 and it tells us that more than 31000 farmers have commited suicides only in the state of Andhra Pradesh. Maharashtra tops the list followed by Karnataka, then Andhra Pradesh, Madhya Pradesh, Chattisgarh. From this data we can see whether the trend in the suicides rates is increaing or decresing . If we look at the first 8 years data the from 1995 to 2002 the number of suicides were 12,716. From 2002 – 2010 the suicides are 18,403. The annual average has gone up by 400-500 deaths. Despite this the state government of A.P claims only 40 suicides in the year. This proves that the government is denying its own data which is also the case with other states. A.P at least claimed about 40 suicides but nearly 16 states reported that there were no farmer suicides at all , so in a way we should appreciate the A.P Government for reporting atleast 40 suicides. The total number of farmer suicides in India from 1995 onwards were more than 2,56,913. This is the data given by Chidambaram’s ministry. This data is not confidential or classified , you can check this data on the NCRB website. We were the ones who pressurised the Govt to publish the data. But this is not the complete data because many of them are not included such as : 1. women are not included as farmers since they don’t have land Patta( registration). ( the death of these women is counted under suicides but not under farmer suicides). This is the reason why women constitute only 10% of the total farmer suicides. You can check out these statistics in the district of Anantapur from A.P . 2. Tenant farmers are also excluded from farmer suicides as they don’t have any land pattas 3 Dalits and adivasis never had any pattas for their land so their deaths are also not counted under farmer suicides. Even after excluding all these people the number of farmer suicides comes down to 30,000 which is of serious concern for Andhra Pradesh. My appeal to all political parties is not to get in to a defensive mode because it is not about a political party but it is the issue of the farmers. But the governments must be held responsible; they must first start telling the truth. Going by their reports, if we calculate, in every 30 minutes a farmer commits suicide. But if you consider any other community like students, engineers and businessmen no other community has such alarming sucide deaths . Highest rate of suicides is in the farmer’s community. This is because farmers have a double burden. The farmer is under double burden because he is affected by price rise, commercialization of education, medical facilities and rising farm costs. Out of these 2,56,000 farmer suicides in the country, nearly 65% of them come from 5 states which are Maharashtra, Karnataka, Andhra Pradesh, Madhya Pradesh and Chhattisgarh. The highest number of farmer suicides are from cotton farmers but we boast that we have increased the cotton production by bringing in hybrids like Bt. Cotton. If this is the case, then why are the farmers committing suicides? I would like to discuss about the Vidarbha relief package as I had covered the story and the Prime Minister came only after The Hindu reported extensively on this issue. ‘If you look at the first page of the CAG report, it says that despite the failure of relief packages, the farmer suicides have increased’. To tackle this problem, we have to first recognize the major issues. Firstly, public investment in agriculture has decreased and currently the situation is negative. In the last budget of Shri. Vishwanath Pratap Singh in 1989, 14.5% of GDP was allocated to agriculture. In 2005 it came down to 5.9% (which includes irrigation, fertilizer, subsidies etc.). Our economy is growing at 9 % but the investments in agriculture have come down. I want the policy makers to take a pledge to allocate a minimum amount to agriculture, say around 15 to 20 % of GDP and to ensure that it does not go below that benchmark. Second problem is collapse of credit. If you look at Government data that is National Sample Survey of India, from 1991 to 2001, the indebtedness of farmers have grown by two times. (26% of farm households in 1991 to 48.6% in 2001). In Andhra Pradesh, 82% of farm households are indebted which is highest in the country. I also want to add a point about loan wavier and I congratulate the Government on waiving off 70,000 crores of farm loans given to 40 million farmers. This happened only once in the past 30 years. But if you look at your budget, the revenue forgone by the Government due to corporate subsidies (waive off) is around 88,263 crores. Tax exemptions on custom duty on diamonds and gold are around 49,000 crore per year. Total exemption for corporates is around 5,00,000 crores. For the first time after 30 years, by waiving off 70,000 crores for farmers, the Government is trying to boast that they have given 70,000 crores when every year they are giving away 5,00,000 crores to the rich like Ambanis, Birlas and Tatas. I want to share a incident. One of the poor regions in Maharashtra called Maratwada was in the news. It almost made it into the Guniess World Book of records because on one day 100 business men in one hour bought 150 Mercedes cars. To boast about Aurangabad, they bought 150 Mercedes Cars which were worth 66 crores. Of the 66 crores, 46 crores were sanctioned by SBI Aurangabad at 7%interest p.a. But on the contrary if you look at a farmer buying a tractor, he has to pay a 14% interest on his loan in the same bank. If a poor woman from a SHG takes the same loan, the rate of interest is 30%. The poorer you are, the more interest you pay. This is our logic of inequality and discrimination in our country. Thirdly, market based pricing that was introduced during Chandra Babu Naidu’s time in AP, the standard for the seeds ……………….when I went to Guntur, AP farmers asked me whether I would buy a medicine from a pharmacy which is only 60% reliable. Then I told them that I would not buy it. They told me that this was the case in seeds. Only 80% of the seeds would germinate. This has now dropped to 60% thanks to corporates like Monsanto and Cargil. This means that if you pay for 10,000 packets of seeds, you are getting only 6,000 packets effectively. In 1991, local seeds in Vidarbha costed around 90Rs./ Kg. and hybrid costs around 300Rs./Kg. Bt. Seeds in 2005 costs more than 4,000Rs. The cost of cultivation has grown disastrously. If you look at Vidarbha region(highest suicides amongst cotton farmers), inputs for one acre of unirrigated cotton farm costs around 3,000 to 4,000 Rs in the year 2003-2004 and the cost for an irrigated farmer was 8,000 Rs. Currently, input cost for unirrigated land is around 15,000 to 18,000Rs. and irrigated costs around 40,000Rs. Also their incomes have come down. The fourth factor is by bringing in expensive technologies, the Government is trying to boast that production has increased. But if you look at the official data given by Institute of Cotton Research and other advisory boards, per hectare yield in 2010 is around 483 kg (Bt. Cotton). In 2004, without Bt. Normal hybrid yield was 463 kg. So what is the difference? The input cost has risen by 500% but the production has increased only by 20 kg. The fifth factor is that soil fertility is dying because of extensive use of fertilizers and pesticides. There is a major crisis of decreasing yields in Punjab because of the soil fertility. Public Sector Agricultural Institutes are hijacked. They do not do the work of farmers anymore. But they do the work of the corporate world (eg. Monsanto), extensive research is carried out for seed and fertilizer companies. Look at the syndicate membership in the agricultural universities, there are no farmers and this is the case with all the states. There are many more things to discuss but due to time constraints, I would like to talk about the way forward. I met a couple of marginal farmers just two days back. They asked me a question. ‘Why do you people call us farmers? What is there in my hands that I am called a farmer? The market is not in my hands, the seeds are not in my hands as they are regulated by the corporates, fertilizers are not in my hands (In1991, DAP costed 180Rs, but now it costs more than 1000Rs.). Electricity is being privatized. In Maharashtra, management of dams has also been privatized. In Chattisgarh, 23 kms of a river has been privatized. What is there in our hands that we are called as farmers? Land is the only thing that we have but that is also being grabbed in the name of SEZ and Industrial parks. With what face do you call us farmers?’ They have asked me that question and I am asking you. I have covered this crisis for the last 13 years. I started my work from Anantapur, AP. Two things you should know is that maximum number of suicides are reported from cash crop farmers. Secondly even food crop farmers have started committing suicides and this frightens me. Majority of the cash crop farmers (ground nut, tea, coffee, sugarcane, vanilla, and cashew) but now even food crop farmers have started. I have been begging and would like to beg the leaders of India and AP. First commit yourself to agriculture and conduct a special session of the parliament on agrarian crisis. When parliament can have a full session on the Ambani brother’s dispute over the KG basin (the KG gas does not belong to Anil or Mukesh Ambani but belongs to the state of AP), why can’t we have a special session on agriculture crisis? Also conduct a special state assembly session to discuss this issue. Secondly declare agriculture as a public service like nursing, teaching, the people who produce the nation’s food are doing a public service. Minimum percentage of budget must be allocated for agriculture. Debt relief tribunal should be created. When the loans for farmers were waived off, two very wrong elements came up. Sharad Pawar said that to waive off the loan, the farmer must have less than 5 acres of land. But there was no distinction between unirrigated and irrigated farmer. Unirrigated farmer or rain fed farmer’s land holdings will be more because his productivity will be less. In the case of Vidarbha, the average land holding is 7 acres which means that 80% of the farmers were excluded from the loan waiver. But in his district, the average holding is less than 5acres. So 53% of the loan waiver benefitted 6 districts out of the 35 districts in Maharashtra. Only Kerala considered all factors including private money lending and a debt relief tribunal was created. National Farmers Commission report was tabled in the parliament in 2007 but even till today not even a single discussion was held on it. The report is untouched by the Union Agriculture Minister. It is a government report headed by an eminent scientist MS. Swaminathan. National Farmers Policy was also tabled in the parliament but no discussion was conducted till date. There should be a national debate on the present model of agriculture. In the present model, extensive use of fertilizers and pesticides has made our food poisonous. If we consider these 6-7 factors, a national debate on agrarian crisis can be initiated which will show us a direction for a better future. This is not a political crisis but a national crisis. It is a crisis of a class and a crisis of our conscience. This is a Repost from: CounterPunch Print Edition Exclusive! In the past 4 years 22 universities across the U.S. have quietly taken the CIA’s dollars and agreed to become spy-factories for student spooks. David Price breaks the story, identifies the campuses, details secret faculty protests and charts the strategy for resistance. The U.S.’s warlord clients in Afghanistan now produce 90 per cent of the world’s opium. Peter Lee reports how the U.S. sponsors widening drug plagues in Iran and Russia. Get your new edition today by subscribing online or calling 1-800-840-3683 Contributions to CounterPunch are tax-deductible. Click here to make a donation. If you find our site useful please: Subscribe Now! CounterPunch books and t-shirts make great presents. The loan waiver year of 2008 saw 16,196 farm suicides in the country, according to the National Crime Records Bureau. Compared to 2007, that’s a fall of just 436. As economist Professor K. Nagaraj who has worked in depth on farm suicide data says, “the numbers leave little room for comfort and none at all for self-congratulation.” There were no major changes in the trend that set in from the late 1990s and worsened after 2002. The dismal truth is that very high numbers of farm suicides still occur within a fast decreasing farm population. The State-wise farm suicide ratios — number of farmers committing suicide per 100,000 farmers — are still pegged on the outdated 2001 figures. So the 2011 Census, with more authentic counts of how many farmers there really are, might provide an unhappy update on what is going on. The focus on farm suicides as a share of total suicides in India is misleading. That way, it’s “aha! the percentage is coming down,” which is grotesque. For one thing, the total number of suicides (all groups, not just farmers) is increasing — in a growing population. Farm suicides are rising within a declining farm population. Two, an all-India picture disguises regional intensity. 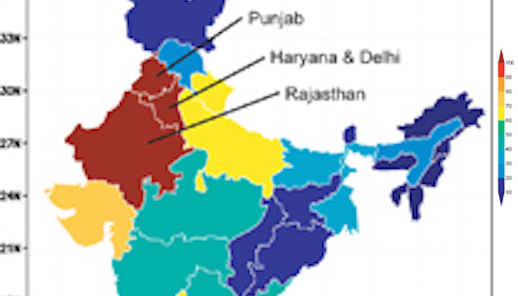 The devastation lies in the Big 5 States (Maharashtra, Andhra Pradesh, Karnataka, Madhya Pradesh and Chhattisgarh). These account for two-thirds of all farm suicides during 2003-08. Take just the Big 5 — their percentage of all farm suicides has gone up. Worse, even their percentage of total all-India suicides (all categories) has risen. Poor States like Madhya Pradesh and Chhattisgarh are doing very badly for some years now. In the period 1997-2002, farm suicides in the Big 5 States accounted for roughly one out of every 12 of all suicides in the country. In 2003-08, they accounted for nearly one out of every 10. The NCRB now has farm suicide data for 12 years. Actually, farm data appear in its records from 1995 onwards, but some States failed to report for the first two years. Hence 1997, from when all States are reporting their farm suicide data, is a more reliable base year. The NCRB has also made access much easier by placing all past years of “Accidental Deaths & Suicides in India” reports on its website. The 12-year period allows us to compare farm suicide numbers for 1997-2002, with how they turned out in the next 6-year period of 2003-2008. All 12 years were pretty bad, but the latter six were decidedly worse. Reading a ‘trend’ into a single year’s dip or rise is misleading. Better to look at 3-year or 6-year periods within 1997-2008. For instance, Maharashtra saw a decline in farm suicide numbers in 2005, but the very next year proved to be its worst ever. Since 2006, the State has been the focus of many initiatives. Manmohan Singh’s visit to Vidharbha that year brought the “Prime Minister’s Relief Package” of US$814,330 million for six crisis-ridden districts of the region. This came atop Chief Minister Vilasrao Deshmukh’s US$13,246 million “CM’s relief package.” Then followed the nearly US$1954.3 million that was Maharashtra’s share of the US$15201 million Central loan waiver for farmers. To which the State government added US$1346 million for those farmers not covered by the waiver. The State added US$108.5 million for a one-time settlement (OTS) for poor farmers who had been excluded from the waiver altogether because they owned over five acres of land. In all, the amounts committed to fighting the agrarian crisis in Maharashtra exceeded US$4.3 billion across 2006, 2007 and 2008. (And that’s not counting huge handouts to the sugar barons.) Yet, that proved to be the worst three-year period ever for any State at any time since the recording of farm data began. In 2006-08, Maharashtra saw 12, 493 farm suicides. That is nearly 600 more than the previous worst of 2002-2005 and 85 per cent higher than the 6,745 suicides recorded in the three-year period of 1997-1999. The same government was in power, incidentally, in the worst six years. Besides, these higher numbers are emerging within a shrinking farm population. By 2001, 42 per cent of Maharashtra’s population was already urban. Its farmer base has certainly not grown. The 2008 waiver also excluded those holding over five acres, making no distinction between irrigated and unirrigated land. This devastated many struggling farmers with eight or 10 acres of poor, dry land. On the other hand, West Bengal’s farmers, giant numbers of small holders below the 5-acre limit, stood to gain far more. Every suicide has a multiplicity of causes. But when you have nearly 200,000 of them, it makes sense to seek broad common factors within that group. Within those reasons. As Dr. Nagaraj has repeatedly pointed out, the suicides appear concentrated in regions of high commercialization of agriculture and very high peasant debt. Cash crop farmers seemed far more vulnerable to suicide than those growing food crops. Yet the basic underlying causes of the crisis remained untouched. The predatory commercialization of the countryside; a massive decline in investment in agriculture; the withdrawal of bank credit at a time of soaring input prices; the crash in farm incomes combined with an explosion of cultivation costs; the shifting of millions from food crop to cash crop cultivation with all its risks; the corporate hijack of every major sector of agriculture including, and especially, seed; growing water stress and moves towards privatisation of that resource. The government was trying to beat the crisis — leaving in place all its causes — with a one-off waiver. In late 2007, The Hindu carried (Nov. 12-15) the sorry result emerging from Dr. Nagaraj’s study of NCRB data: that nearly 150,000 peasants had ended their lives in despair between 1997 and 2005. Just days later, Union Minister for Agriculture Sharad Pawar confirmed those figures in Parliament (Rajya Sabha Starred Question No. 238, Nov. 30, 2007) citing the same NCRB data. It’s tragic that 27 months later, the paper had to run a headline saying that the number had climbed to nearly 200,000. The crisis is very much with us. Mocking its victims, heckling its critics. Cosmetic changes won’t make it go away. P. Sainath is the rural affairs editor of The Hindu, where this piece appears, and is the author of Everybody Loves a Good Drought: Stories From India’s Poorest Districts. He can be reached at: psainath@vsnl.com. The world and its super power declared triumph after ‘winning’ its war against terror; cricket histories were rewritten; and new, more horrfying scams came to the fore. Despite these sensational, ground breaking events, it was environment news, stereotypically considered niche (read boring) that refused to budge from its prime space in newspapers and television channels. Environment awareness and issues have entered the mainstream domain. What else would explain your familiarity with Jaitapur, Tehrigram, Singur, Nandigram? Here, aren’t these what your daily newspaper headlines have been looking like? May 19, Paradip, Orissa: POSCO started acquiring land amid tight security even as 20 activists of the United Action Committee were arrested for blocking the move. On May 2, the Ministry of Environment and Forests (MoEF) had given the final clearance to the project. On May 4, activists alleged that the MoEF had ignored resolutions of two gram sabhas, that of Dhinkia and Govindpur, under the Forest Rights Act, refusing to hand over land. But these were termed invalid. In an open letter to Jairam Ramesh, a representative of the POSCO Pratirodh Solidarity accused him of turning Indian democracy into a farce. May 13, New Delhi: The controversial pesticide Endosulfan, which activists claim has killed about 5,000 people in Kerala, has been banned by the Supreme Court. The ban on its manufacture, sale and use is valid upto mid-July. Earlier, the Union Agricultural Minister Sharad Pawar had refused to ban it, insisting that four separate panels had found no ill-effects. At a convention in Stockholm, India sought and procured a 11-year phasing out period. May 11, Greater Noida, UP: Drama ensued as Rahul Gandhi was arrested by the UP government along with senior Congress leader Digvijay Singh for sneaking into Bhatta Parsaul village to meet agitating farmers whose land has allegedly been taken away. The Mayawati government has been planning developmental projects and residential projects in the area. On May 13, the Allahabad High Court provided relief to the residents of Sahberi village against land acquisition moves. 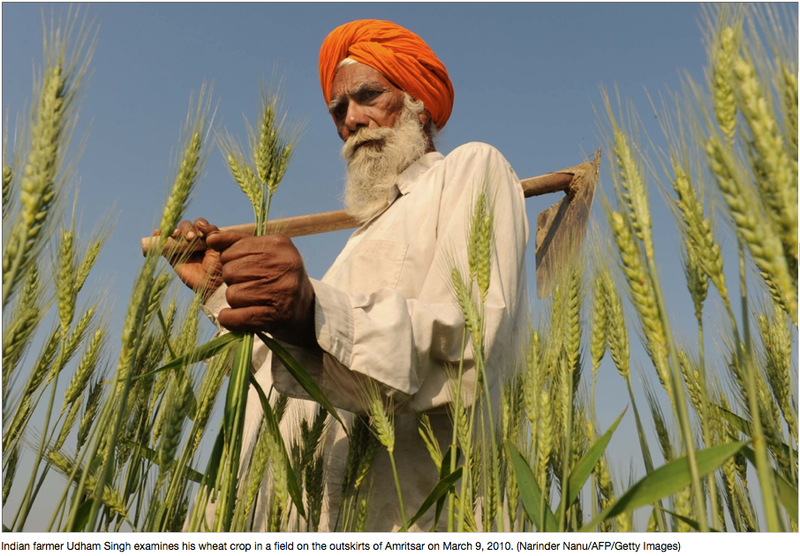 Singh promised a “farmer-friendly” Land Acquisition Act on the same day. Yes, we’ve all heard a lot about the Chipko movement of the 1970s. And how can we not mention Narmada Bachao Andolan, India’s most controversial dam project till date? However, the big change in the game today is the fact that it’s not just a handful of activists and lobbyists who are fighting for social-ecological causes. It’s the common man. The transition has been brought about. Here, we bring to you some recent and important environment cases that have made us (and the ones in power) realise how critical environment is for survival. Activists allege that more than 70 percent of the people living in the villages (2,000+) had signed resolutions refusing to part with their lands. But these were brushed aside by the MoEF as fraudulent and invalid. What would you have done if you were Minister Jairam Ramesh? You sure love your summer vacations at hill stations, don’t you? So what would you say if we told you that a brand new hill station has been planned in Maharashtra – the first to come up since India’s independence. Tempted to visit? Sadly you cannot because its construction has been halted due to alleged environmental damage. Though the Lavasa corporation has stone crushing permits, its ‘hill cutting’ and ‘quarrying’ have got the MoEF worried. According to the ministry, Lavasa did not obtain central government’s approval and started construction with only state government permits. Hundred families from 18 villages say their land has been acquired by Lavasa illegally. Tribal families claimed that they were cheated by local agents, land records were changed, cheques bounced, and threats were issued. It received necessary clearances from Maharashtra government because part owners of the company allegedly had blood ties with a senior minister. In late 2010, MoEF ordered Lavasa Corporation to halt further construction. However, in January 2011, it admitted that it would reconsider the project on its merits while imposing various terms and conditions to ensure that no further damage is done. These would include a ‘substantial penalty’ for violation of environmental laws. What should 100 families of 18 villagers who are fighting against the project do now? We are all witnessing, and more importantly participating in the mobilisation of our society – moving from the ‘Entitlement regime’ to the ‘Right regime’. We are not just concerned with what we ‘can’ get. Now, it’s about we ‘should’ get. This healthy shift in our democratic process has led to an overt linkage of environment to basic needs and wants. Politics can follow. Shiv Sena, Congress, BJP and Trinamool Congress – all have jumped to the bandwagon, in an attempt to pose as champions of the environmental struggles of the people. This just reasserts the power and the force of such issues. Now, for a case that is unfolding even as you read. And the Supreme Court, which had cleared POSCO in 2008, has taken a ‘no compromise on environment’ stand viz-a-viz Nirma Limited’s proposed Rs 600-crore Bhavnagar cement plant. What happened? If you were an SC judge what would your verdict be? A gene from the soil bacterium Bacillus Thuringiensis is inserted into the DNA of the vegetable to produce pesticidal toxins in every cell through an Agro bacterium-mediated vector, along with other genes like promoters, markers etc. It was created by India’s foremost seeds company Mahyco in collaboration with American multinational Monsanto. BT cotton has led to crop failures and mass suicides of farmers. According to a 2003 study by an Andhra Pradesh-based NGO Deccan Development Society, nearly 2,500 sheep died after grazing in BT cotton fields. Following protests against the introduction of genetically modified crops, including those by the All India Kisan Sabha, Navadanya and Greenpeace, India stalled the commercial cultivation of BT Brinjal on February 9, 2010. The MoEF cancelled its earlier approval and empowered the Genetic Engineering Appraisal Committee to take legal action against companies if any seeds were found in the market. Would you eat GM food after reading this? Would you work on making GM safe? Would you campaign for an absolute ban on GM food testing, production and marketing? Let’s draw up your daily diet chart. Do you eat wheat, rice or both? You sure like your cup of tea/coffee, right? And fruits, do you tend to avoid them? But have you heard the phrase an apple a day, keeps the doctor away? What will you do if you found out that Endosulfan, a pesticide that has been banned in 80 countries is used, sometimes indiscriminately, on these crops? Don’t despair yet. India has sought a 11-year phasing out period from the Conference of Parties to the Stockholm Convention for this pesticide but will continue to use the chemical on 23 essential crops including paddy/rice, wheat,coffee, tea, jute, apple, mango, cow beans, tomato, potato, chillies, onion etc. But on May 13, The Supreme Court banned its manufacture, sale and use. It has also asked an expert committee to submit a report about its harmful effects. The Centre for Science and Environment had been fighting for the cause for long. Also, due to the relentless efforts of the local civil society organisations in Kerala, the matter was brought to the notice of the national media. How would you perform your duties as part of the expert committee? We’ve all witnessed how the system and the law are in the process of handing over environment to us, the people. We have the power to implement our democracy and it is this transition that makes it even more important for us to play our role. So, are you a convert already? Thanks to our friends at Gobar Times for taking the time to educate India on it’s environmental issues. I also want to thank Polash for sending me their link. Act Naturally is busy designing their new website parked at ActNaturally.org. If you or someone you know are a web designer/developer who can lend their skills or advice please write to actnaturallyworldwide@gmail.com. Today I revisited a property ten kilometers outside of Rishikesh currently owned by a North Carolinian Swami. There are two plots of land up for sale. One with a house, reservoir/fish pond and bordering on a river that feeds the Ganga. This river has water all year and doesn’t have a destructive spill over during the monsoon. There are no zoning restrictions to this land. Cows, chickens, sheep, goats, and even small huts can be put here with no government permitting. There are papaya trees already planted and many garden vegetables are already grown for the Swami on this land. It is 1200 square meters in full sun for 26 Lac Rupee. The adjacent piece of land, bordered by a stone walls, is an old wheat, onion, and grass field that is also 1200 meters for 14 Lac Rupee. Together, the price nears 100,000 U.S. dollars. None of which I have! *Since I can’t even get paid from my work in California! On each side of this property is more agricultural land that has been organically farmed for generations. Now however, Ashrams, camps and guest houses are eyeing this land. My hope was to raise enough money to buy it, cultivate it and sell a few highly sought after Organic foods ranging from ayurvedic and western herbs to arugala, chard and dandelion greens. I have made significant contacts with local shop keepers who are keen on transitioning into the Organic market. One such interest comes from the Pundir family, well known all over Rishikesh. I also have people who have attending Act Naturally’s camp outings, lining up to work (for free) on this project. The problem is fundraising. Most “well-off” Indians I speak to are clambering for turn over. I suggest that if the land is bought, I and my organization would only “tend” the land for a determined amount of time. The owner, would ultimately hold all deeds, and rights. I point out that a bridge is going in down the road to connect both sides of the river and thus will increase the property value instantly. Instead of having to drive 20 kilometers toward Haridwar to the car bridge, or park and walk or cycle over Laxman or Ram Jula bridge you will soon be able to simply cross a sturdy bridge by car four kilometers out of town on your way to Jumping Heights. The time it saves, and access it opens up, increases the property value instantly. The tourists and locals both complain that the food quality in Rishikesh is bad. When you cook local market vegetables, you can smell the pesticides burning off. If you look around you can see the bulging waste lines and unhealthy appearance of many of the locals who are now subsisting on refined oils, flours and sugars, and attacking their bodies daily with fruits and vegetables chock full of chemicals. And yet the mention that someone is ready to step up to become part of the solution to this problem if an investor can be found, gets a disinterested eye, and a long lecture on the practicalities of growing organic vegetables and making a profit. The profit is not in the sale of the vegetables only I suggest. It is in the opening of the organic markets, vegetables are just a step, then there are possible organic retreats and workshops, and the eventually and if nothing else, sell of the land itself. The real profit is in how a return to organic agriculture can literally transform the health of a community, and reestablish the spirit in the practice of ahimsa to ones environment and self. When I look around I see a new gas station, a giant prison-like megaplex hotel blacking the view of the Ganga, more cars and car show room, and less and less land maintained and acquired for food production, community property and aesthetic value. Here is a real chance to save some of this property, and put it to use for the community. I am willing to work whatever deal out that I can to get this project started. This is a request for funding, …donations large and small, investors, or land owners near Rishikesh that can allow for this small non-profit to begin to change the health of the community one bite at a time. 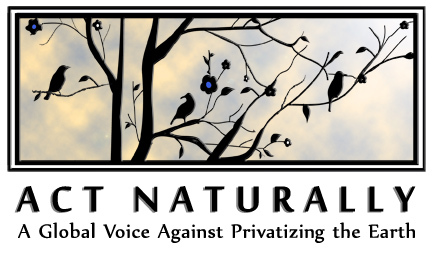 Thank you for supporting Act Naturally! We are working toward publishing a bi-annual progress report that outlines to our subscribers, friends, and supporters how every cherished dollar is used for the stated cause. Secure Donations to Act Naturally. Thank you for your kind support. Jamie believes that the ravages of corporate despotism can be overturned one organic seed and garden at a time. The worlds new non-violent kranti or revolution is in organic, bio-diverse agriculture. Shiv Chopra, President of the Canadian Council on Food Sovereignty & Health will be testifying about the attack on science and scientists.